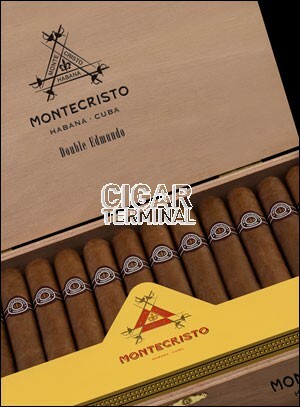 The Montecristo Double Edmundo is a pretty new cigar in the lineup and despite its young age, displays a nice complexity and richness of flavors, while never being too harsh. 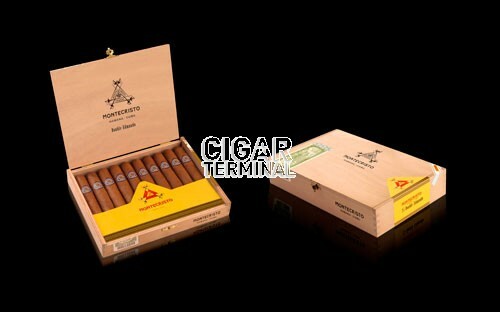 • Complex cigar, with a woody and leathery profile and some notes of cream and chocolate. • A medium bodied cigar that is very well constructed. A medium bodied cigar that is very well constructed. First of all, the Semi Boite Nature is looking very classy, much better than any average wooden box or the more common dress boxes. 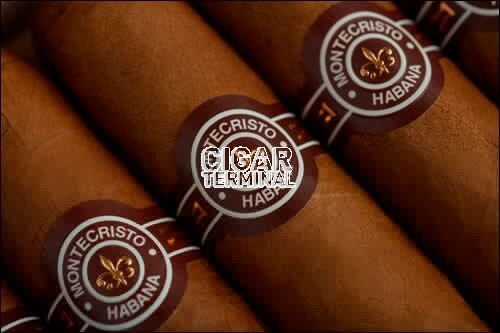 The Montecristo Double Edmundo seems of great construction, it has a slightly dark brown color, reminding of coffee bean color. The cigar feels good between the fingers, it is well packed and without any soft spots, just a slight give when squeezed. The wrapper is very smooth, no veins apparent. The Double Edmundo is sporting Montecristo new band, with the gold fleur-de-lis and golden writings. The wrapper smells typical Montecristo, lots cream, chocolate, hazelnut and a hint of wood. Some spices also reach the nostrils. Once cut, the draw is slightly tight, but opens up while smoking the cigar. Lights easily, the burn line is slightly wavy but corrects itself. The cigar is producing a nice velvety smoke right from the start. The first third of the cigar starts off with spices on the lips and a strong woody flavor on the palate. It is pretty smooth, mild to medium strength for now. Some tobacco flavors also comes forward, along with some nuttiness from peanuts, some coffee, earth, sourdough bread and some creaminess that is creeping up. There also notes of cocoa, caramel and red fruits. The draw is still perfect; the ash is building up for almost 2 inches in a nice dark grey color. The burn line is now sharp and straight and the Double Edmundo is still generating a generous velvety smoke. In the middle third, the dominant flavors are of chocolate, the wood is still there though. The cream is also becoming more present, whereas the earth, the caramel and the nuts are becoming more discrete. Some sweetness lands on the lips. Overall, it is still a lovely cigar which balance of flavors is amazing thanks to its almost perfect construction. The afterfinish is great and the burn is still perfect, as well as the draw. The strength ramped up slightly, and the Double Edmundo is now sitting at a medium body cigar. In the final third, the dominant flavors are still mainly of chocolate, strong hazelnut, strong spices. The cream and wood faded in the background, as well as the chocolate in the very end. The aftertaste is very spicy. The ashes hold on for a good inch until we let the cigar in the ashtray. The draw and burn are still perfect (the burn was left untouched). Whereas the flavors were stronger in the final third, it is nevertheless a medium bodied cigar. In summary, despite being a young cigar, its construction is impressive and allows an experienced smoker to enjoy this explosion of flavors. It is also a cigar that will benefit from ageing in a humidor.